For every 100 points you earn, you get 2 oz of any tea! So, if you earn 300 points you get three 2 oz bags of any tea for free! Once you’re signed up, you’ll earn 1 point for every dollar you spend in any DAVIDsTEA store or on the DAVIDsTEA website. 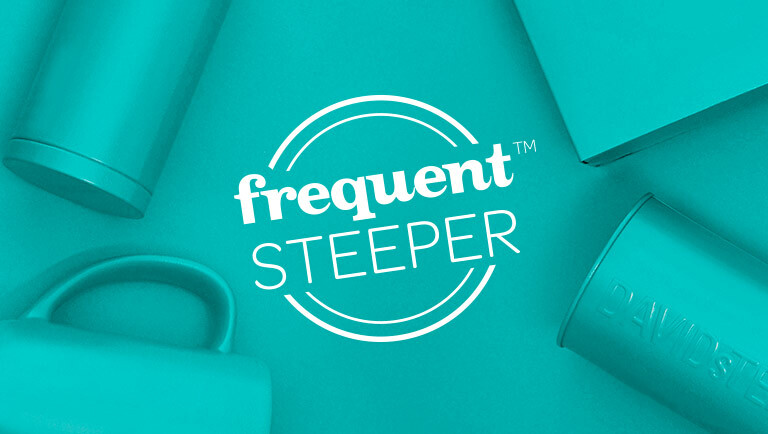 * For every 100 Frequent Steeper™ points you earn, you get to choose a FREE 2 oz of any loose leaf tea, including select matchas. ** Once you hit 100 points, your reward will magically appear in your account within 24 hours. You’ll then have 60 days to redeem it in store or online – just give your email address in store or sign into your online account and head to your Frequent Steeper page, then choose whichever tea you’d like.